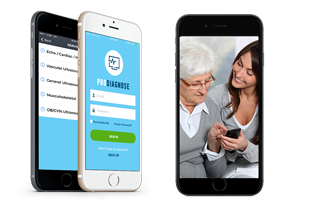 ProDiagnose, America’s No.1 affordable on demand ultrasound app, has today confirmed that ultrasound testing is being conducted from the comfort of family homes eliminating the high expense and inconvenience of making traditional hospital and clinic visits. The exclusive first-to-market app is the only place where a rapidly expanding team, currently 15 strong, of Board Certified medical professionals including; Ultrasound Technicians, Sonographers and a top rated Radiologist are conducting a variety of sophisticated ultrasound examinations at the lowest rates in homes. Areas now covered include Los Angeles, Orange County and coming soon to the San Francisco Bay Area and New York.